David Richo, PhD, MFT, teacher, workshop leader and writer, works as a psychotherapist in Santa Barbara and San Francisco, California. He combines Jungian, transpersonal, and mythic perspectives in his work. 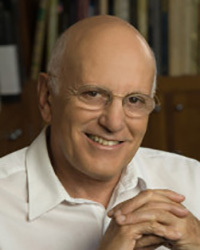 He is the author of How to Be An Adult in Relationships: The Five Keys to Mindful Loving; The Power of Coincidence: How Life Shows Us What We Need to Know; Everyday Commitments: Choosing a Life of Love, Realism and Acceptance and Daring to Trust: Opening Ourselves to Real Love and Intimacy. For more information about David, visit www.davericho.com.